« Happy Winter Solstice 2010! A few days after I went to see the waxwings in Woburn the flock finished eating the berries on that particular tree moved on, so I saw them at just the right time. 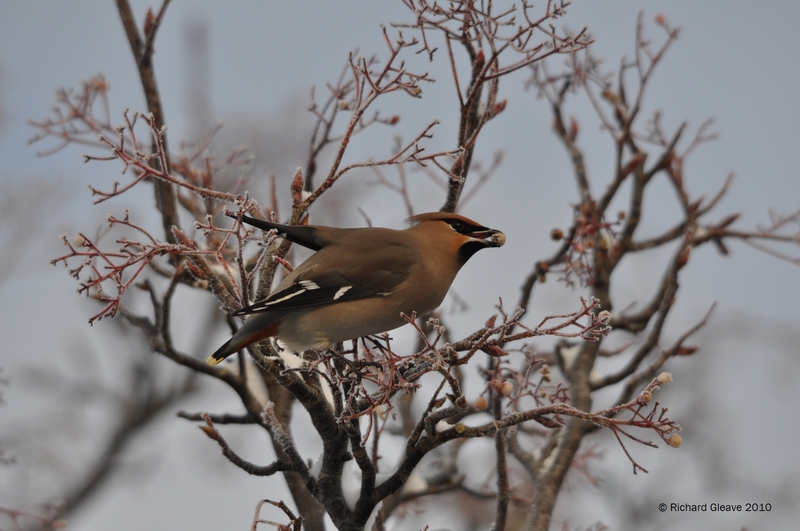 Mind you, there have been reports of waxwings from all across the UK, so this definitely seems to be a ‘waxwing winter’. I came across another flock myself a couple of days before Christmas, 30 or so birds in a tree by the industrial estate on the A507 in Flitwick, Bedfordshire. Unfortunately the snow and ice made it impossible to stop (and it is a busy main road), but it gave me a quiet sense of satisfaction to have found my own flock. Following the paparazzi is one thing, but finding your own flock of waxwings is somehow better. On the same subject, one of my fellow watchers in Woburn found the post and got in touch. 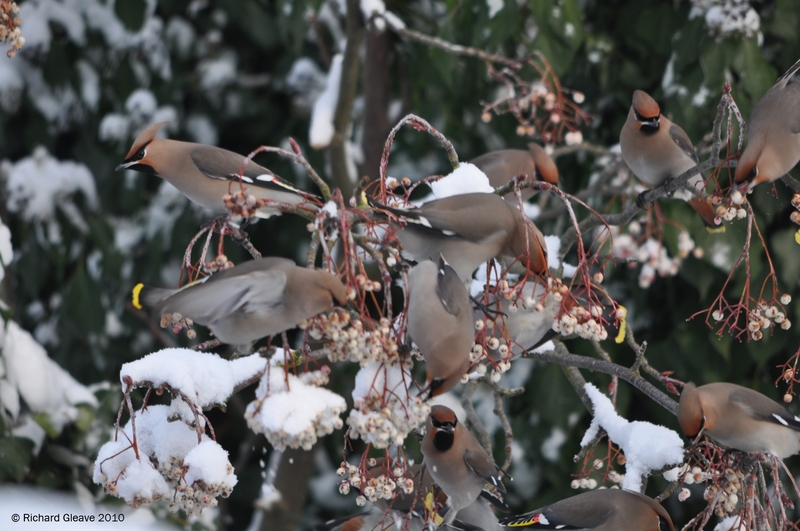 Richard has taken some absolutely stunning pictures of the Woburn waxwings, and with his permission I’d like to post them up here. Click on the pictures to see the larger versions – you won’t be disappointed, these really are excellent photographs of truly stunning birds. The copyright of these pictures belongs to Richard Gleave.